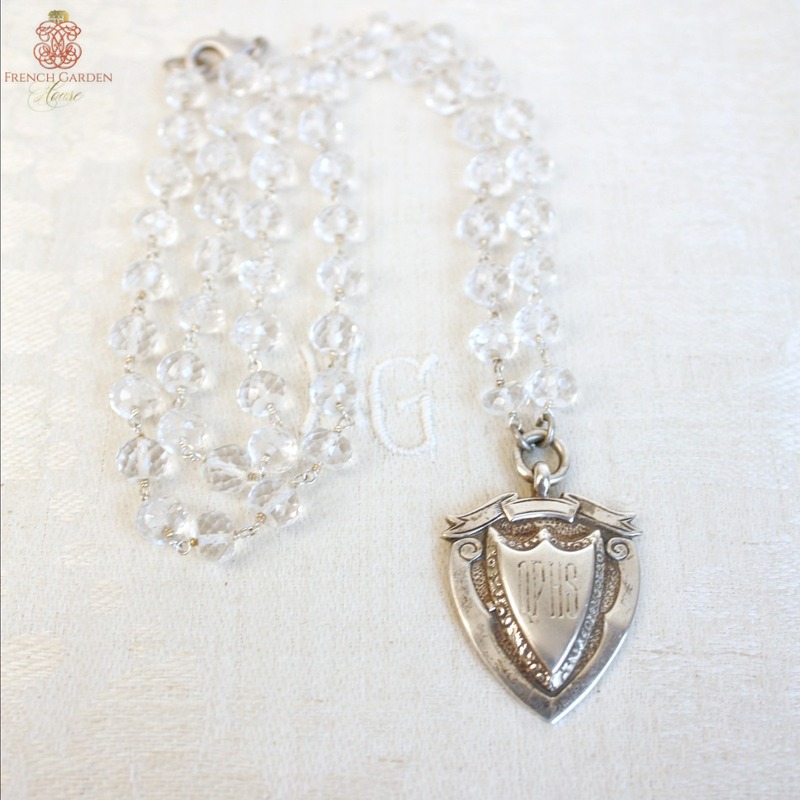 Lovely necklace featuring a Sterling Silver Award Watch Fob from 1931 with a monogrammed "Q P H S" shield on one side, the reverse has P. Martin, Perfect Attendance 1931. Made by J W Tiptaft & Son of Birmingham, England. Not sure what this was for, but wouldn't this be so fun for a teacher or someone else in education to wear? These English silver awards are such a collectable piece of history. 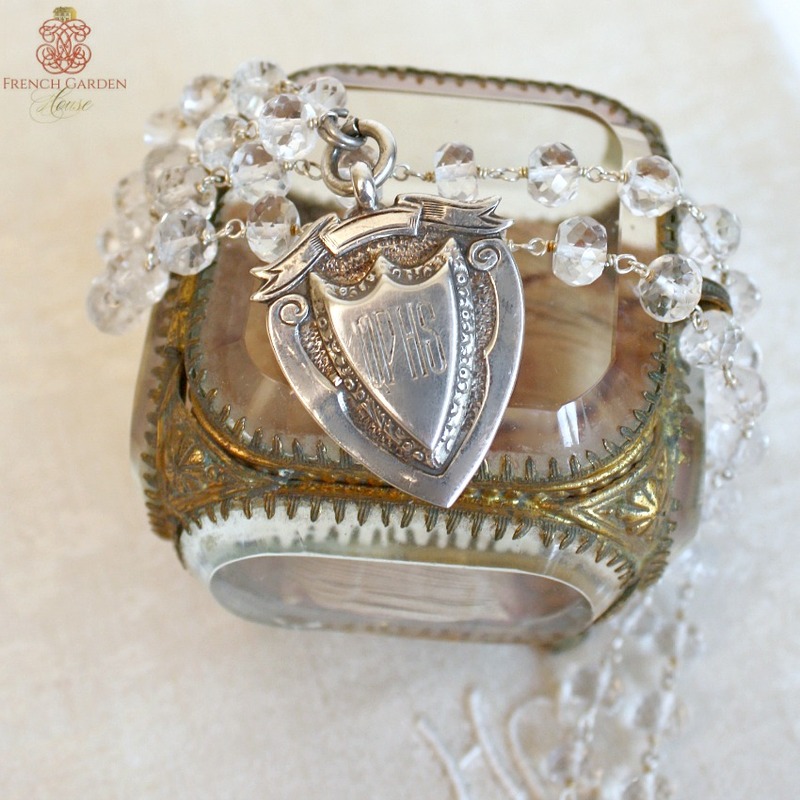 The chain is made of vintage faceted crystals for sparkle, closes with a lobster clasp. Fob is marked with the lion passant. 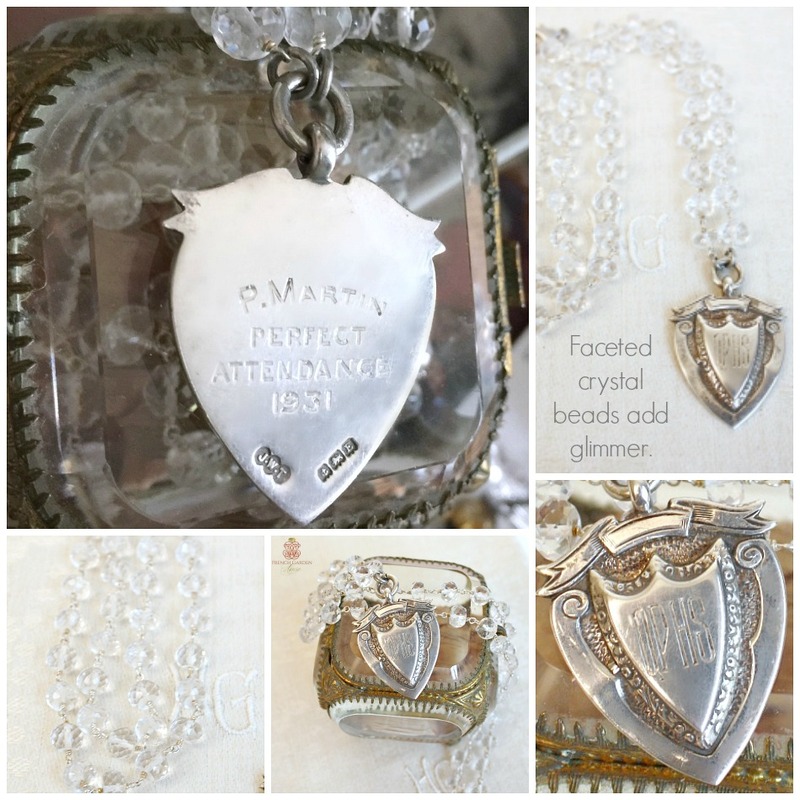 A luxury addition to your antique jewelry collection, or a thoughtful gift. 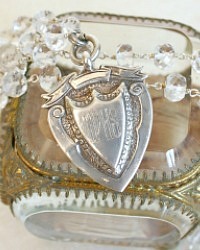 Measures: Necklace: 24"; Fob Pendant:1-1/2" l x 1-1/8".